Be Mr Positive with your fishing tactics! Want more fish? Be Mr Positive with your fishing tactics! 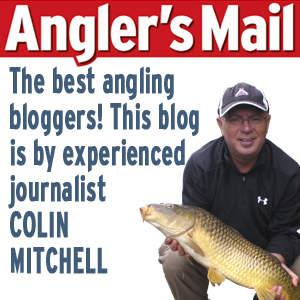 Our insightful general angling blogger, Colin Mitchell shares why being Mr Positive can be the difference . If you like this blog, please click the social media icons above to share with your fishing pals. WHEN it’s cold and you expect fishing to be hard most anglers decide to take things a lot steadier. They don their cautious heads and forget about being positive in choice of tackle and feed. I used to be one of those anglers. So much so that I never, ever got my positive brain in gear when fishing was hard or at least expected to be hard. Nowadays I have decided that being positive often works far better – especially when you want to at least try and have a good day’s fishing in far from suitable conditions. I’m not talking about shoveling in masses of baits or fishing like you might in summer when you can get away with a few mistakes as fish are feeding so well. More like believing that you can catch a few fish rather than be on the bank thinking that you might not catch. When there is a touch of colour in the water there really is no need to fish tiny hooks and very low diameter lines. Fish can’t see them! All you need is hook and line that are not so heavy that they make your bait act strangely. For lakes that means you want end gear that allows the bait to still fall through the water relatively slowly. On rivers the flowing water means you can step up that end tackle. Remember it is best to land any fish you hook as at this time of year a lost fish can mean spooking anything else in your swim for some length of time. Always match hook and line to the species you are after but don’t be afraid to take a few small gambles. I went on a small river near me last week looking for… well anything that swims if the truth be known. I’d grabbed a few hours at the end of the day and just wanted to see a float go under. So I began on a 20 hook to a light trace in a bid to get a few bites. It was wrong. I should have known that when I saw the flow on the river and the nice tinge of colour in the water that would both have allowed me to step up hook and line. I caught a few roach and dace but then bumped off a good fish, probably a chub or roach. That should have been my sign to change. I didn’t. I was wrong again. And I lost another good fish. The double maggot had flipped back across the point of the hook despite me hooking the grubs opposite ways round. Nothing you can do about that. Well there was…a change to a 16 hook (note I bypassed the 18 as I was now getting positive). It worked. I still caught small fish but I also got some nice net roach. 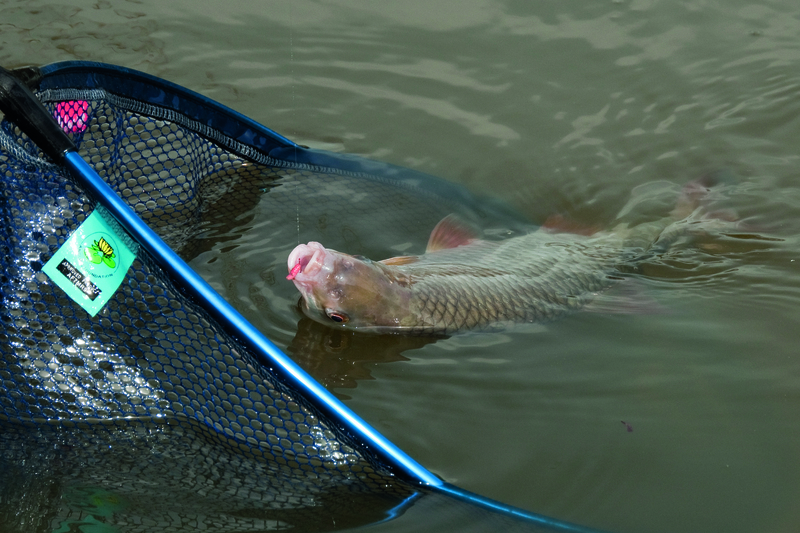 Funny how a few fish in the net can make you concentrate a bit more – I realised that roach were living in one part of my swim and dace in another. Normally you would find them in the same area. That made me think that a different approach to this swim – which I have fished before – might work. Normally you only catch in the flow with the occasional small fish from the small area of slack water on the far bank. It’s only about 12 metres wide here and that eddy is pretty small. 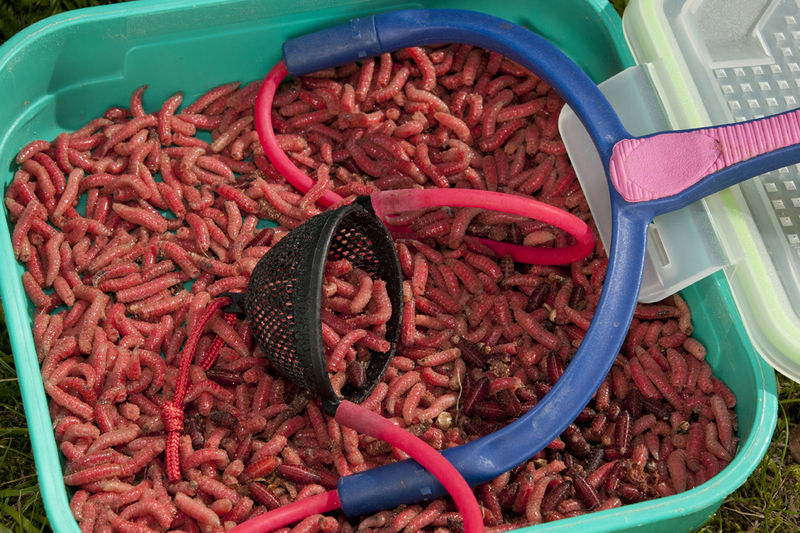 Anyway, when my dace and roach lines stopped producing regular bites I decided to flick a few maggots into the slack. Nothing unusual there you may think – but this is one venue where I regularly do not feed at all. There’s no need, the fish live in certain swims and either feed or they don’t. Well that’s another theory that’s gone out of the window thanks to being Mr Positive! After leaving that newly fed slack for a short time I flicked over my lightly shotted stick float, held it steady and – bosh it went straight under with a new roach. Fluke! Had to be. But no, it wasn’t. More very light feed, same approach and more nice roach… The blinkers had come off for probably the first time ever on this venue and in just under two hours I had 30 roach and dace (I got to 27 fish and then decided to get 30 before I went home). My journey to the riverbank also gave another lesson to those wanting to catch in the cold. There was just one other angler on the bank – despite the place being pretty easily accessible. The cold and damp had obviously kept others away. Yet I ended the day well happy and not just because of my catch. I’d also stayed dry and warm – probably part of the reason I concentrated more on my fishing. It started with my thermal socks inside my thermal boots! Lined trousers, a tech tee shirt, micro fleece and hooded micro fleece meant I was warm. When it started to rain a little the lined waterproof jacket was slipped on. And, as always with my polished head, there was a nice warm hat in place. You feel warm, you fish better.